Prepare yourself, people. It’s Bacon Brewfest this weekend and it’s everything you thought it would be. Thanks to Cuckoo Callay cafe, the Bacon Brewfest at Central Park in Sydney this Saturday will host an incredible line-up of more than 30 food and beer stalls, plus live music and entertainment. True to its name, Bacon Brewfest will be serving up bespoke bacon creations by Sydney’s finest cafes, restaurants and chefs. 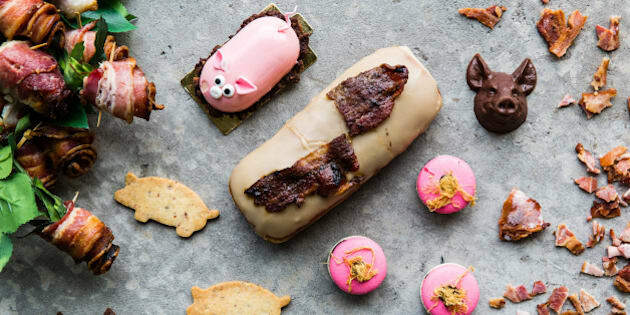 Think bacon doughnuts, bacon pastries, bacon burgers and more. And if you love a lot bit of craft beer with your bacon, you’re in luck -- there will be an array of local breweries offering free beer and cider tastings, including Two Birds Brewing, Four Pines, Willie Smith's Organic Cider and Rocks Brewing Company. If that hasn't enticed you enough, you can also pig out at the free bacon tastings and the bacon eating competition. And if you're up for a bit of learning, head to the beer and bacon workshops so you can bring home the bacon.